The team at Bendigo Smiles, a family dental practice, consists of committed, experienced and energetic individuals who are kind and friendly; they bear a common goal – to provide the best care to their patients. The team takes pride in working towards staying current in the field through continuing education and providing treatment under all aspects of general dentistry and catering to people of all ages. 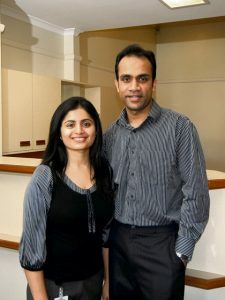 Mithun and Priya are experienced and dedicated dental surgeons with a vision to cater to the needs of the community and contribute to its success. They have been trained in the best clinical skills – Mithun has a Masters in Periodontics from India and has successfully completed a course in Implantology in Sydney; Priya has a Masters in Endodontics from India. They are currently licensed as General Dental Surgeons (Australian Dental Board Certified) in Australia. The two have been excellent team leaders. Mithun’s kindness and passion complimented by Priya’s cheerful and caring nature contribute to their excellent rapport with people of all ages. Loving parents to two young boys, Mithun spends his leisure playing golf, fishing while Priya loves travelling, cooking and spending time with family and friends. Mithun is an ardent soccer and cricket fan too. Dr. Renuka obtained her Bachelor of Dental Surgery in 2008 and has been practicing both abroad and in Australia ever since. With 10 plus years of general dentistry experience under her belt, Dr. Renuka is highly skilled and trained in the fields of Complex Restorative Dentistry, Cosmetic Dentistry and Invisalign. She is also one (of two) of our in-house Cerec Crown Machine experts, who can create and cement a crown for her patients in just one appointment. Dr. Renuka’s goal is to create a comfortable environment for her patients while delivering cutting edge, painless and proven dental treatment. Dr. Renuka provides a genuine, gentle and friendly service to her patients whilst helping them to achieve a beautiful, healthy smile. She also performs dental procedures for particularly anxious patients under General Anaesthetic up at St. John of God Hospital. Outside of the clinic, Dr. Renuka loves to travel and do yoga and spend time with her husband and family. 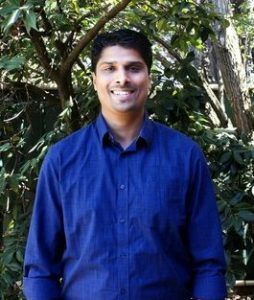 Dr. Amith is a general dental practitioner who has a Bachelor of Dental Surgery he gained in 2008 and has been practicing for more than a decade, both in Australia and overseas. He has a keen interest and is highly skilled in the areas of Complex Restorative Dentistry, Cosmetic Dentistry, Implant Dentistry and is one of our in-house Cerec Crown machine wizards. He is also our Nitrous Oxide go-to dentist for nervous patients, and also performs dental procedures for particularly anxious patients under General Anaesthetic up at St. John of God. 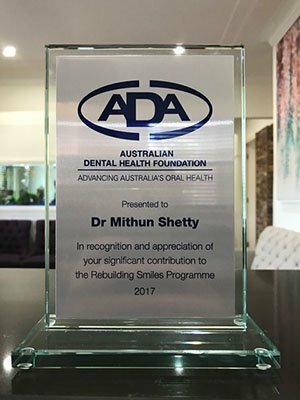 Dr. Amith is passionate about educating his patients about the importance and correlation between oral and general health, whilst providing high quality dental care to achieve the best aesthetic and functional outcome for his patients. Dr. Amith is continually changing the stereotypes associated with dentistry by creating a calm and friendly atmosphere for his patients, and this is evident when we continually hear positive feedback from his patients. 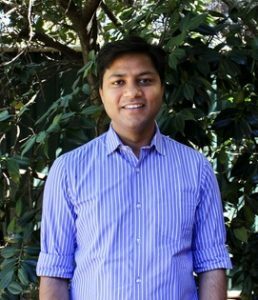 Outside of work, Dr. Amith enjoys watching and playing cricket, going to sports events, music concerts and driving to Melbourne to spend time with friends. Dr. Patrick graduated with a Bachelors of Dental Surgery in 2008 and joined the team at Bendigo Smiles towards the end of 2018. He also practices during the week at our sister clinic, Castlemaine Smiles. Dr. Patrick has been practicing for over 10 years and has a special interest in Complex Restorative Dentistry, Extractions, Endodontic Dentistry and Aesthetic Dentistry. Dr. Patrick has also had previous experience in mentoring and teaching dental students while they were on placement, when he used to live in the Sunshine Coast. Dr. Patrick has made it his goal to fulfil the oral health needs of his patients to the highest possible quality, whilst making the treatment as comfortable as he can, especially for anxious or fearful patients. Dr. Patrick is well known for his friendly personality which enables his patients to feel right at home in the dental chair. When Dr. Patrick is not at work, he enjoys watching the cricket, cooking, dangerous thrill rides and spending time with his wife and son. 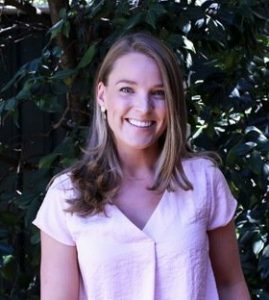 Dr. Paige graduated from La Trobe University in 2016 with a Bachelor of Health Science and a Masters in Dentistry. “Alleviating patient anxiety and fears to achieve a healthy smile, while providing the best patient-centred care” is a huge motivator for Dr. Paige, who believes that building strong connections with her patients is what makes her job so rewarding. She particularly enjoys Restorative Dentistry and improving a patient’s overall oral hygiene. Dr. Paige is particularly passionate about preventative dentistry and strongly believes most dental problems can be prevented entirely or resolved more simply in their early stages. When she’s not at work, making staff and patients alike giggle, Dr. Paige loves Thai food, playing tennis and adding to her already extensive tooth fairy Barbie doll collection. 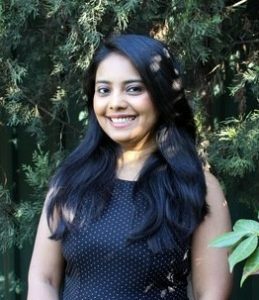 Shruti graduated in 2009 with a Bachelor of Oral Health from Otago University and joined our dynamic team in 2016. 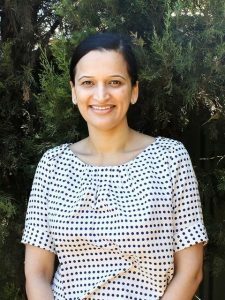 Shruti has been practicing for almost 10 years and has worked in several unique dental environments, including a multi-specialist clinic in Wellington and school dental services. Shruti diagnoses and helps prevent gum disease, as well as general dentistry for patients up to the age of 25 years old. She particularly enjoys building a relationship with nervous patients and being able to turn what may have been a negative experience for them into a positive, fun one. She prides herself on helping patients gain a better understanding about oral health and works with passion and care and it’s evident from the numerous amounts of wonderful testimonials from her patients, both children and adults alike. Outside of the clinic, Shruti loves cooking, photography, doing yoga and reading (especially the Harry Potter books). 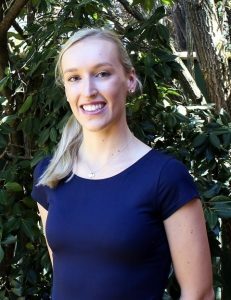 Emily graduated from La Trobe University in 2015 after gaining her degree in Oral Health Therapy. 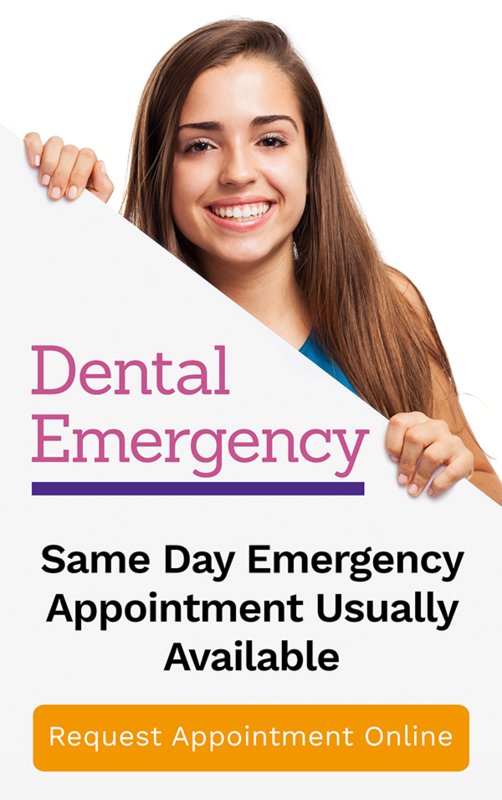 Emily diagnoses and helps prevent gum disease, as well as general dentistry for patients up to the age of 25 years old. “I value strong communication with parents and children and really enjoy my work within children’s dentistry. Through building trust and taking the time to get to know my patients means everyone has a great experience at the dentist”, are a couple of Emily’s mantras for her work. Emily also strongly values behaviour change and improved condition for her patients and supporting patients to make the best decision to obtain better oral health. Emily has a keen interest for community work and has volunteered in Nepal to provide dental care for children in orphanages and refugee camps. She describes it as one of the most amazing experiences of her work life to date. In her spare time, you might find Emily hiking with her husband Luke and their golden retriever Sargent, doing yoga or learning to play the piano.